George Albert Stapleton, 89, of Oldham County passed away at The Richwood Nursing Home on Friday November 16, 2018. He was born on March 5, 1929 to the late Perry and Jesse Chamberlain Stapleton in the Clifton Neighborhood. 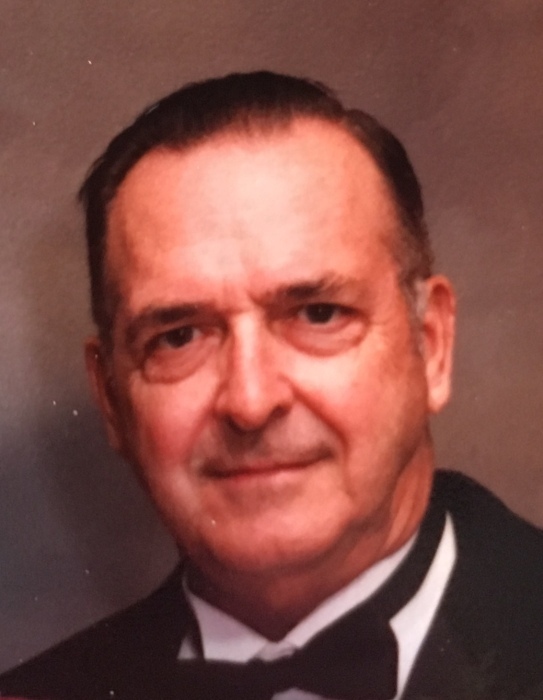 He worked for Pillsbury for 35 years before retiring and thoroughly enjoyed working for the Judge and Jim Willamson’s law practice in LaGrange as a handy man for many years. In his earlier years he was an avid hunter that took him from Kentucky to Indiana to South Dakota and Colorado. George was preceded in death by his parents, Perry and Jesse Stapleton, his brother Perry Jr. Stapleton, and by his loving wife of 57 years, Peggy Louise Schneidtmiller Stapleton. George is survived by his four children; Roger Stapleton, Pam Little (Darrel), Marsha Ciolli (Gary) and Brian Stapleton (Erika); seven grandchildren, Heather, Megan, Heidi, Brittany, Nicholas, Hailey and Andrew; seven great grandchildren, Vivian, Maren, Brielle, Cross, Jase, Ryan, and Kaylee. We’d like to send a special thanks to all those that provided such great care to George over the past 7 years at the Richwood Nursing Home in LaGrange as he battled Alzheimer’s, but still found time to enjoy his favorite treat – cookies.